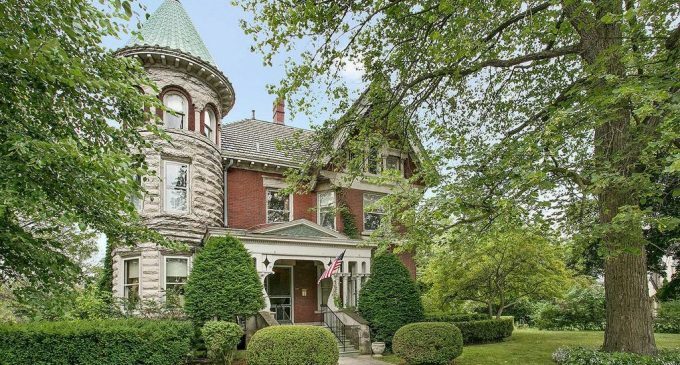 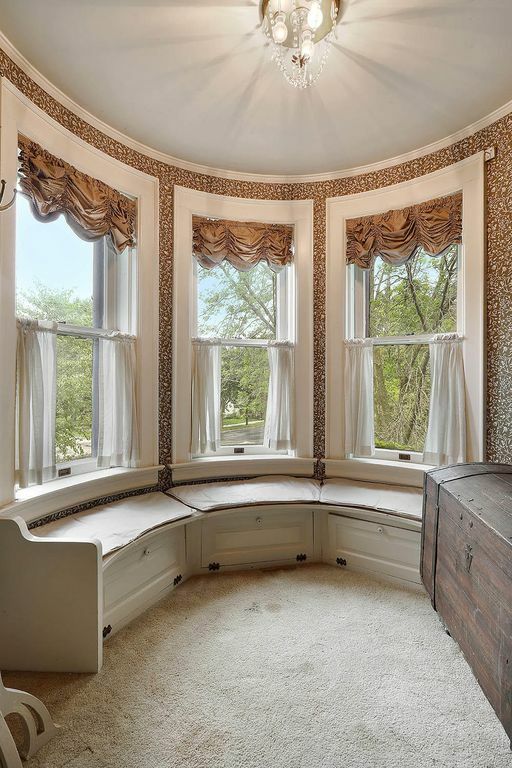 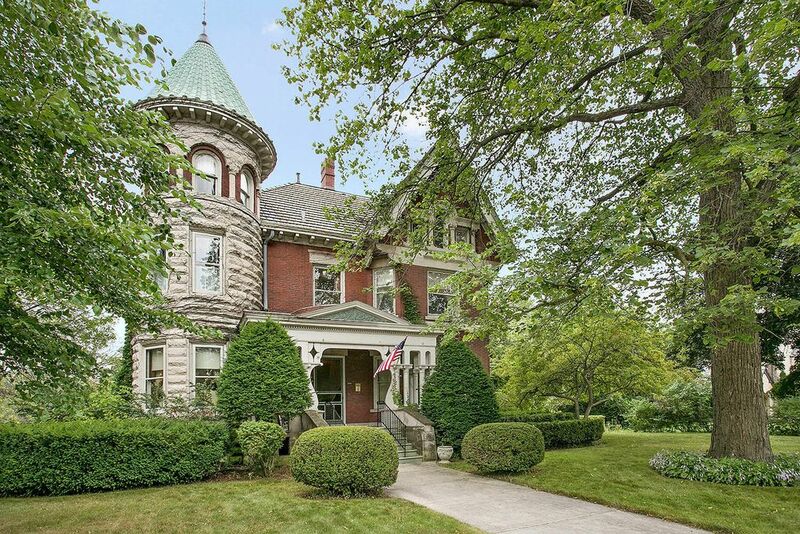 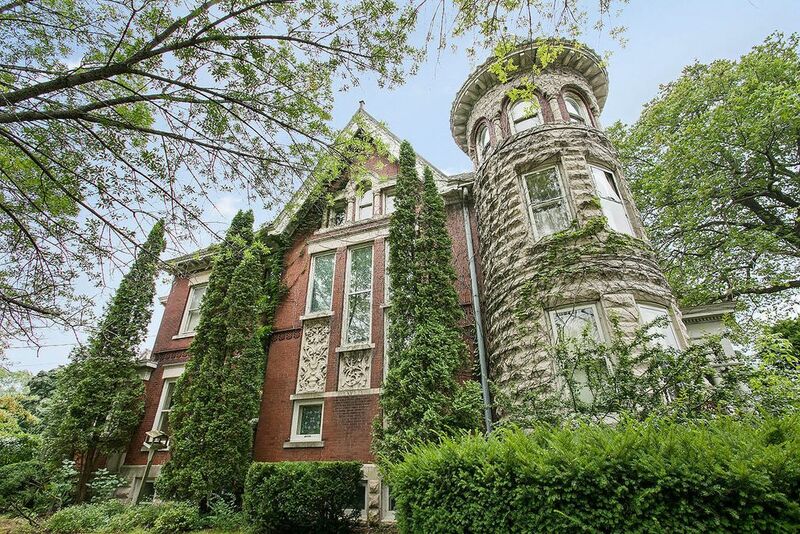 A towering Queen Anne mansion with a three storey tower and steeply gabled roofs is on the market in Manitowoc, Wisconsin for $429,900. 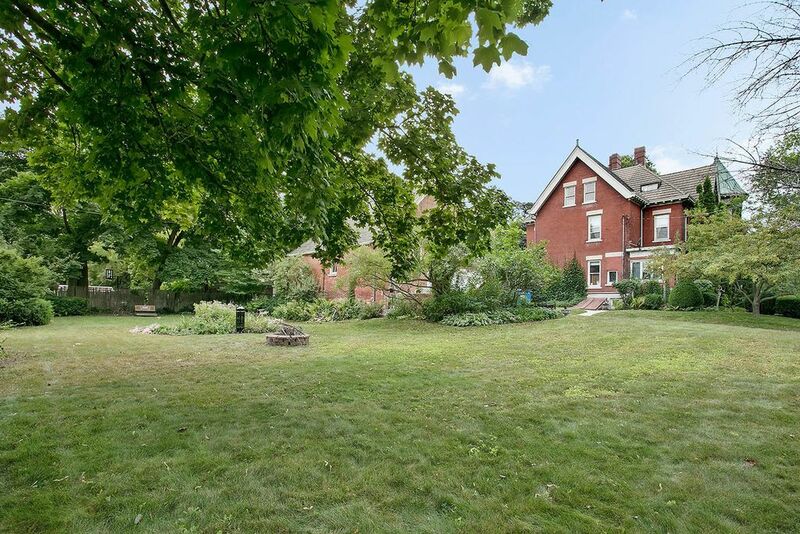 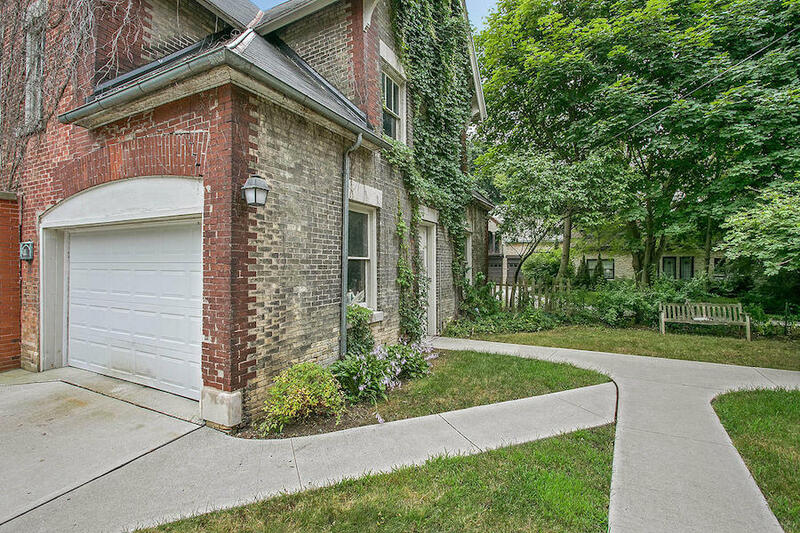 The commanding home shines as the crown jewel of the neighbourhood, surrounded by relatively modest family homes and just steps from Union Park. 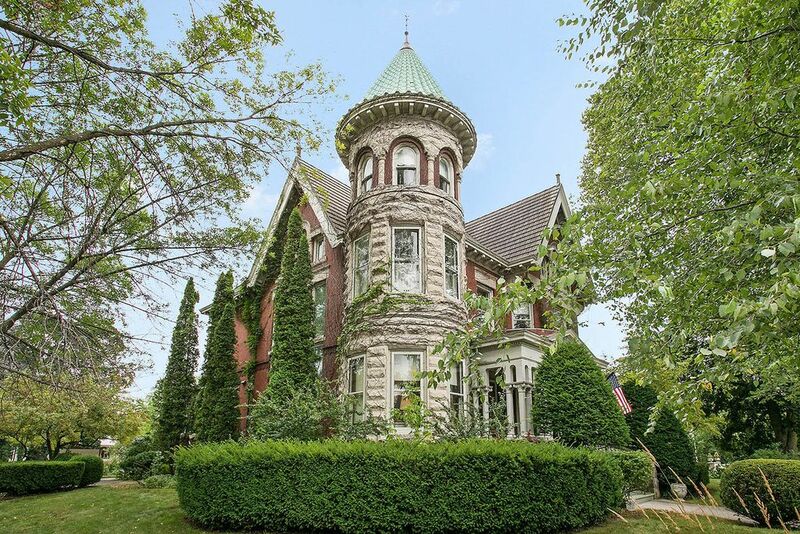 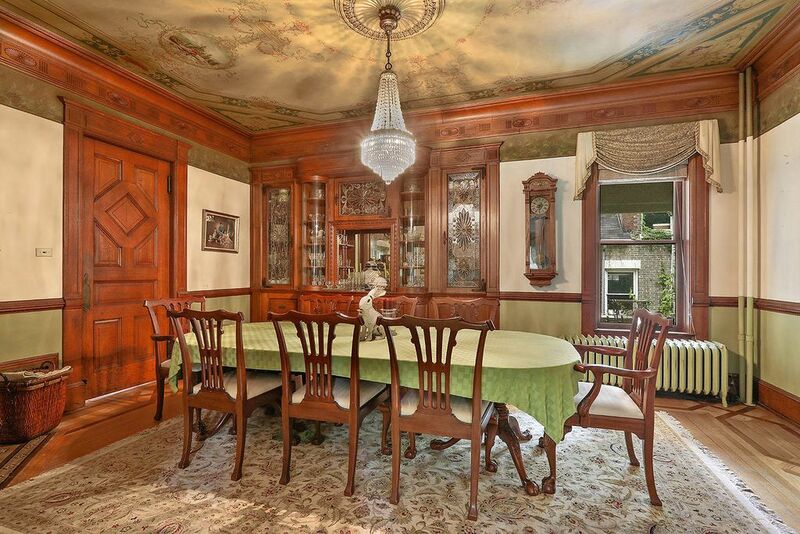 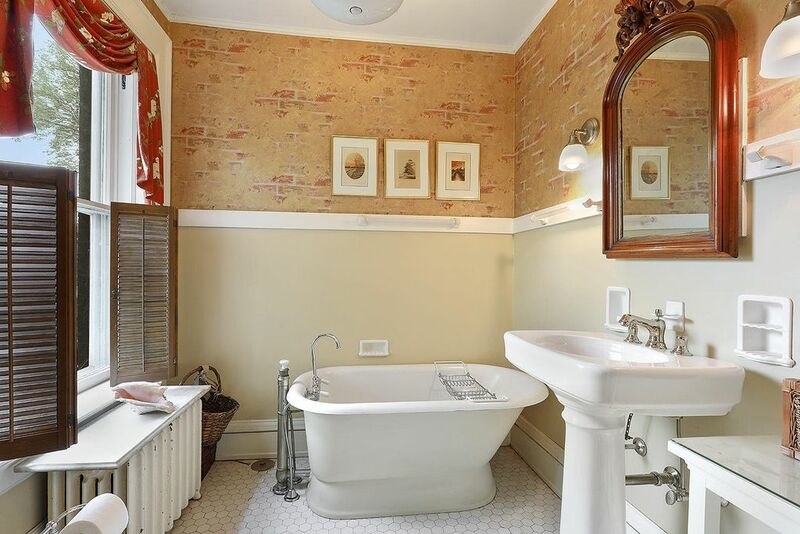 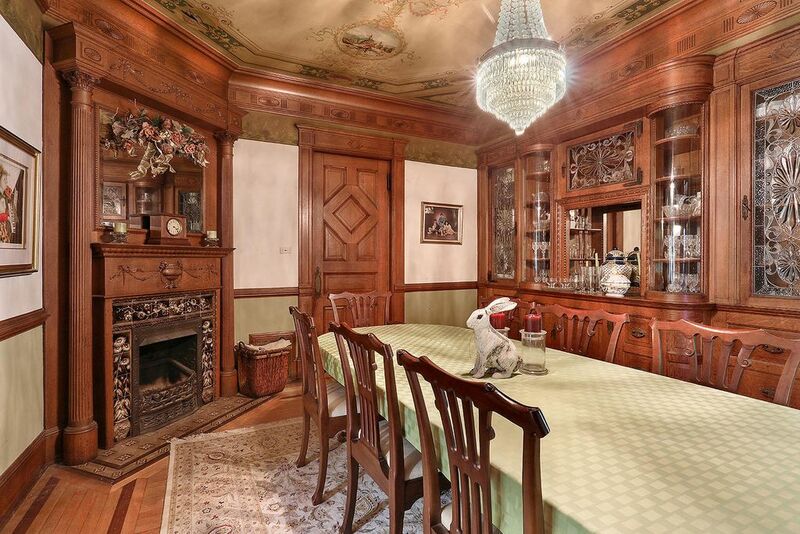 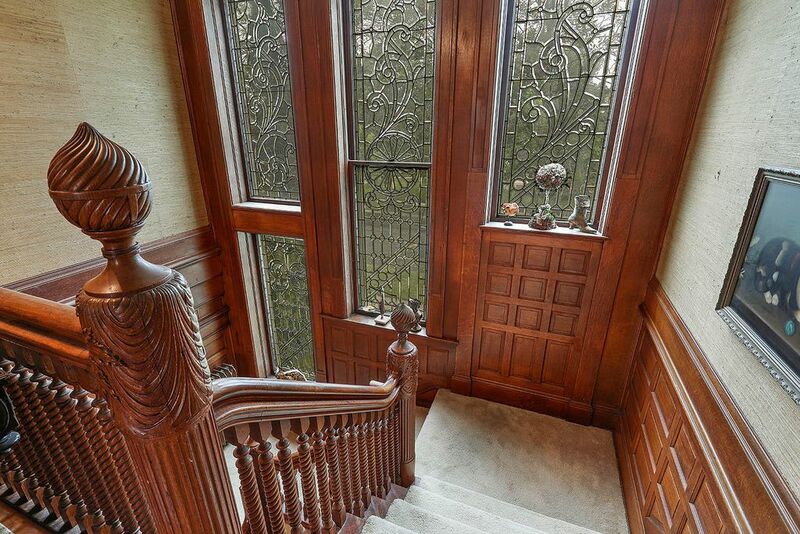 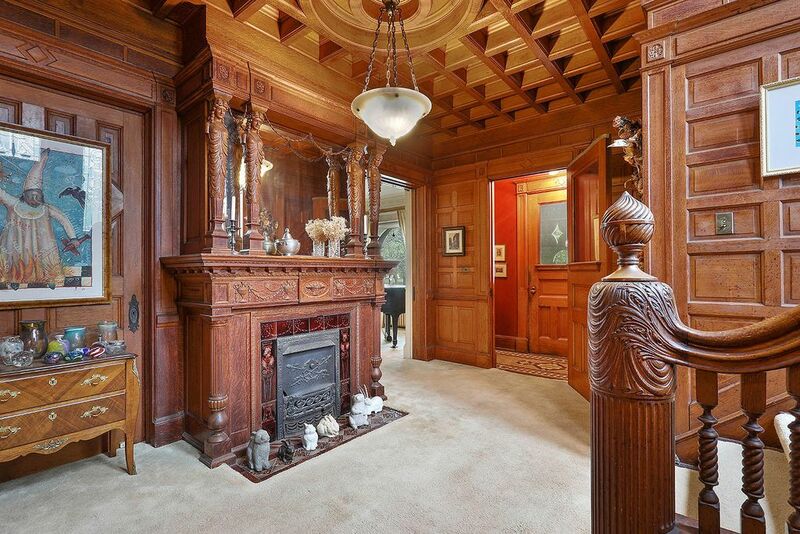 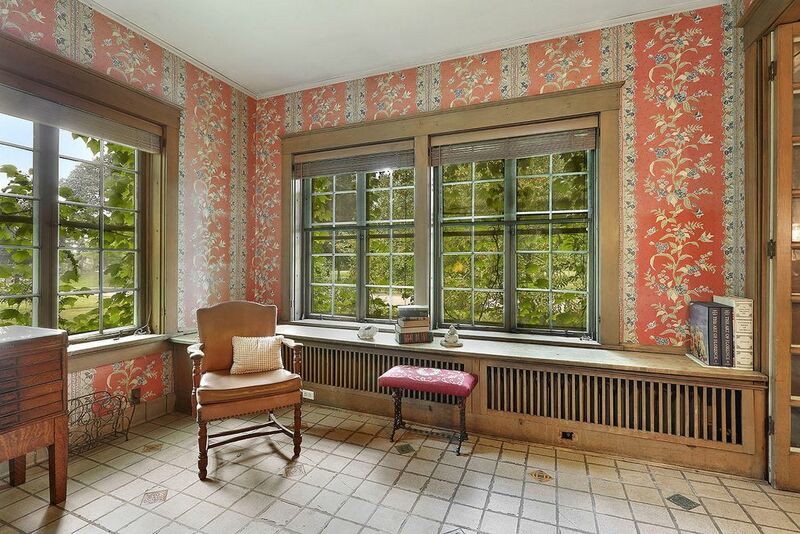 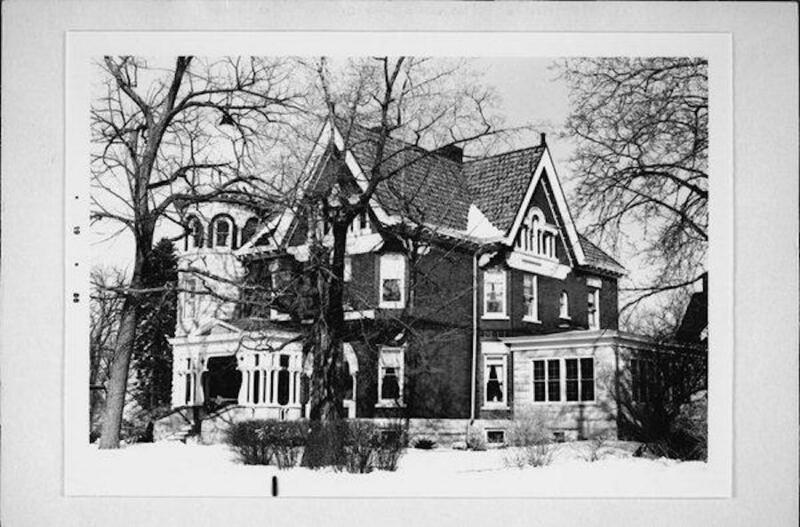 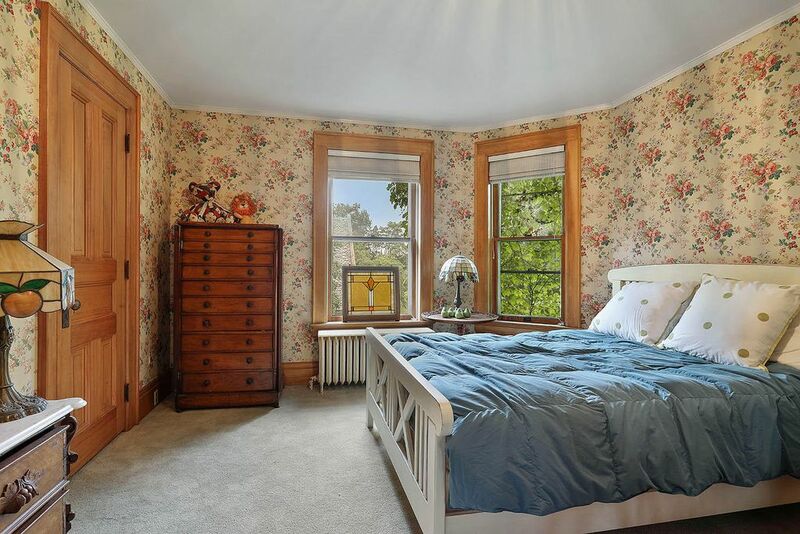 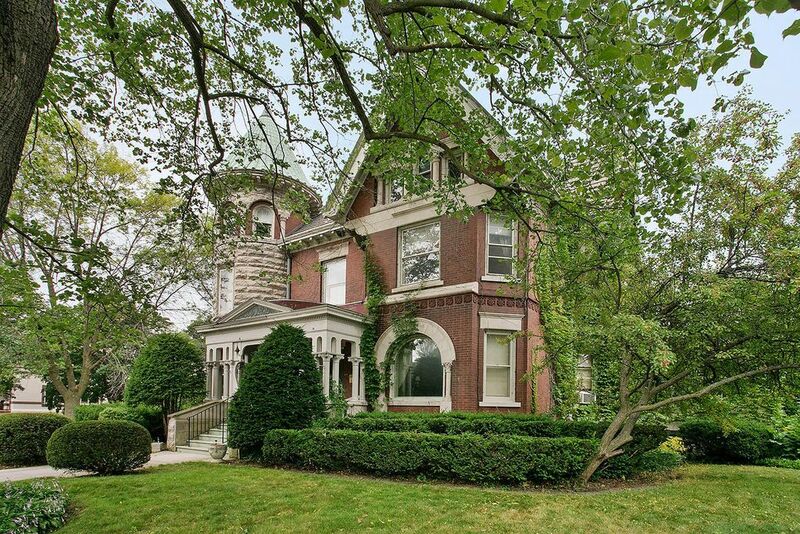 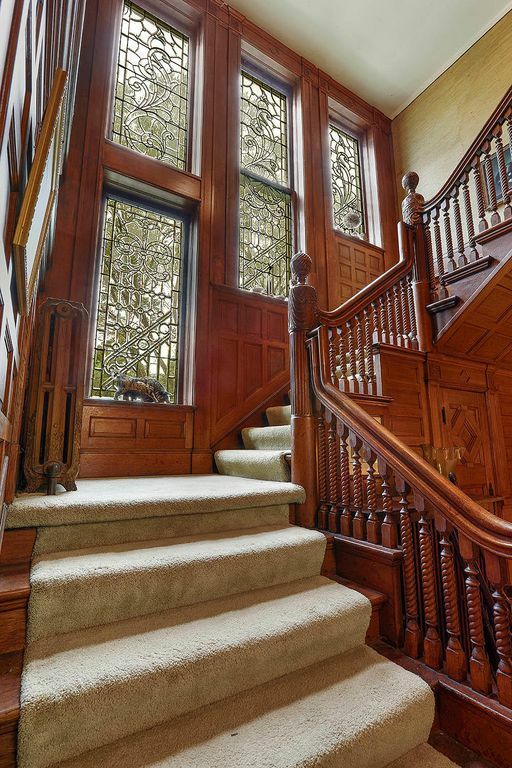 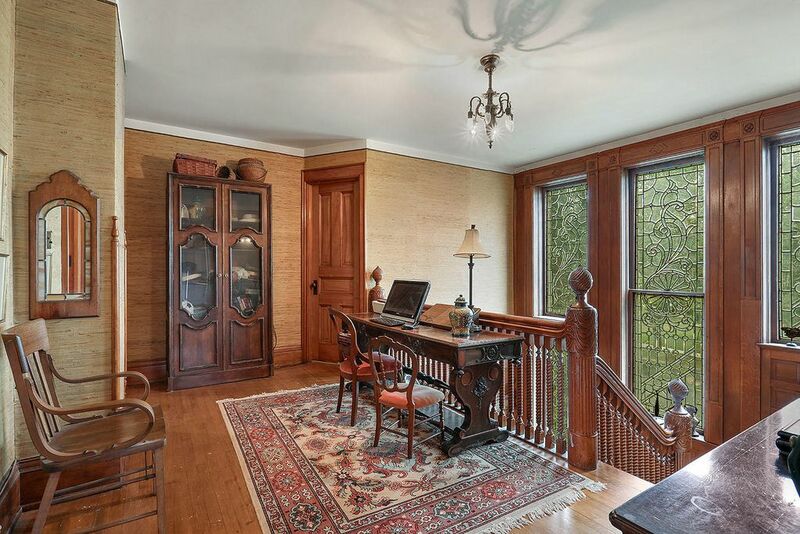 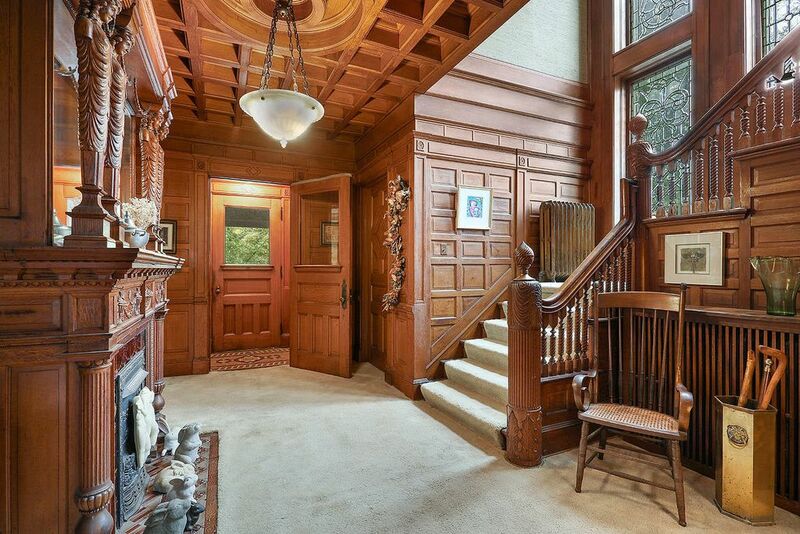 It was designed by architect Christ H. Tegen and built c.1897 for Charles E. Spindler, a retired Chicago businessman, whom the home gets its name. 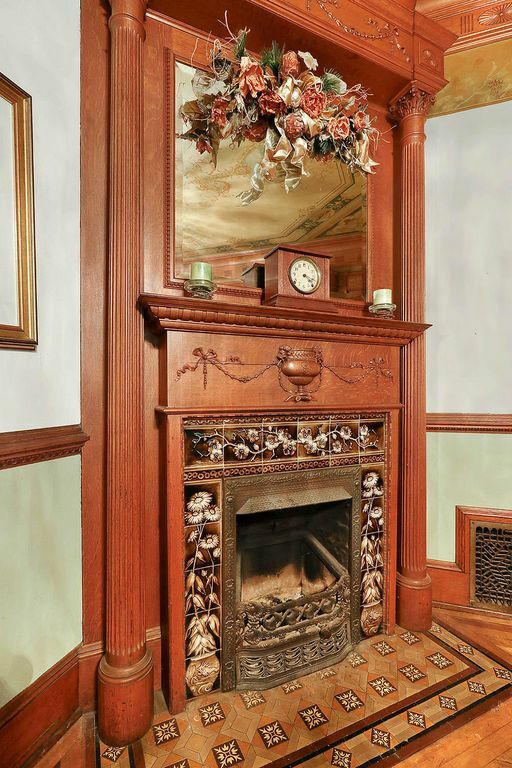 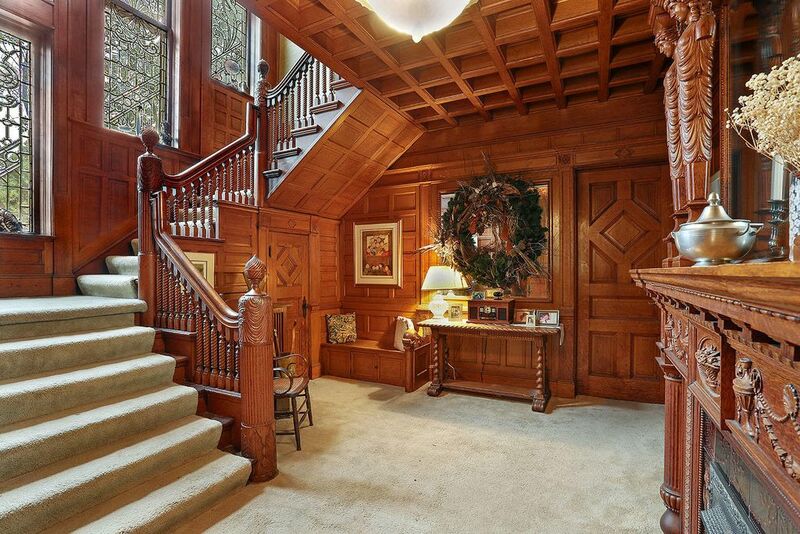 Measuring a little over 4,300 square feet, the home features an impressive panelled entrance with hand carved fireplace, a grand staircase with leaded glass windows and a formal dining room with built-ins, a hand painted fresco ceiling and fireplace. 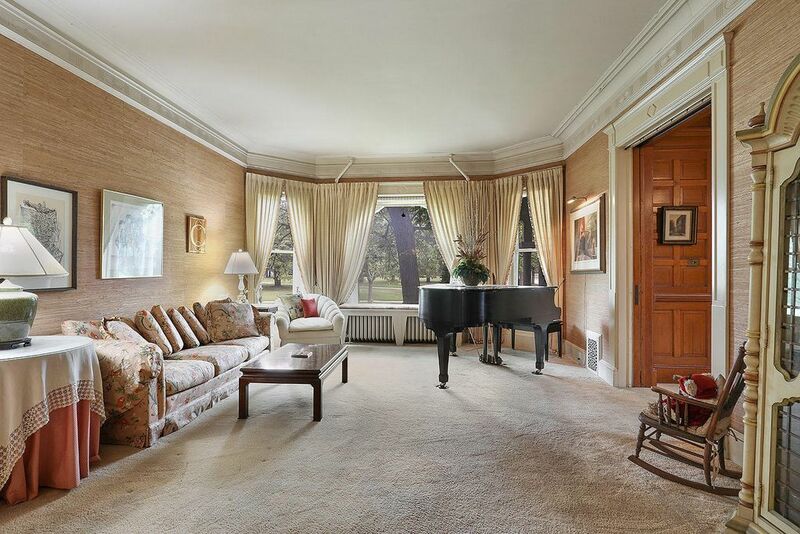 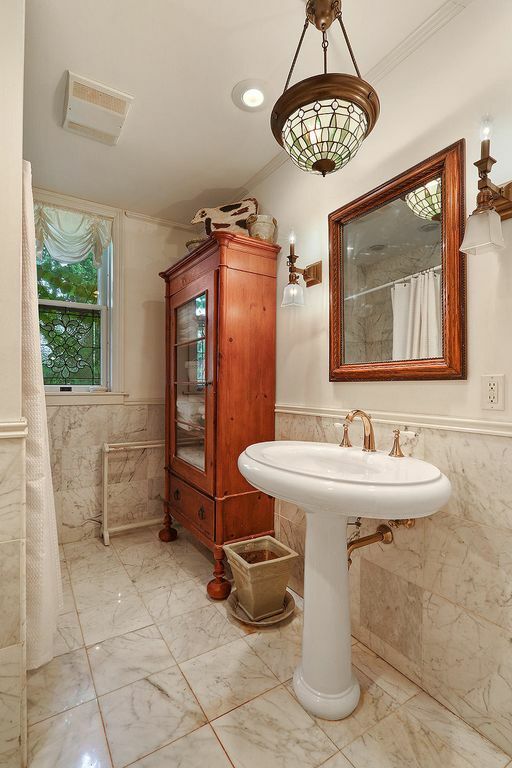 There are five bedrooms and four bathrooms throughout, a third floor ballroom, private breakfast room off the kitchen and a large south facing sunroom with ceramic floor. 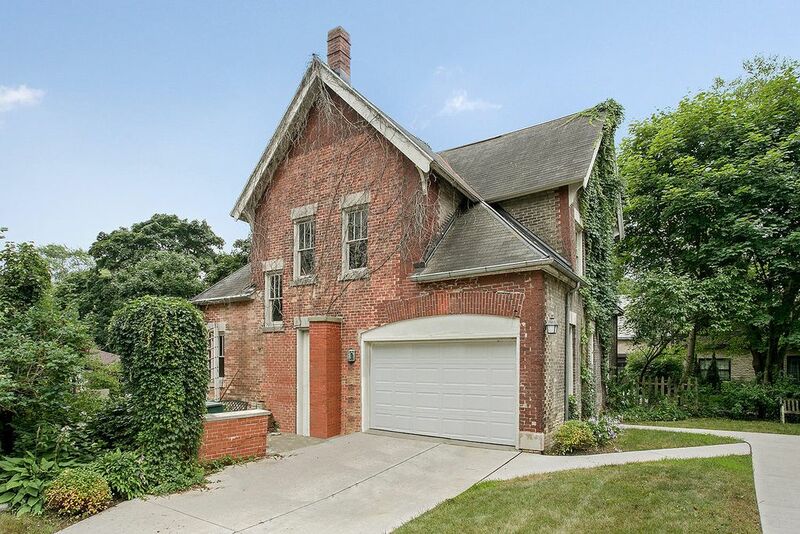 The home sits on a large double lot with two storey brick carriage house with space for four vehicles and a walk up second level with endless possibilities! 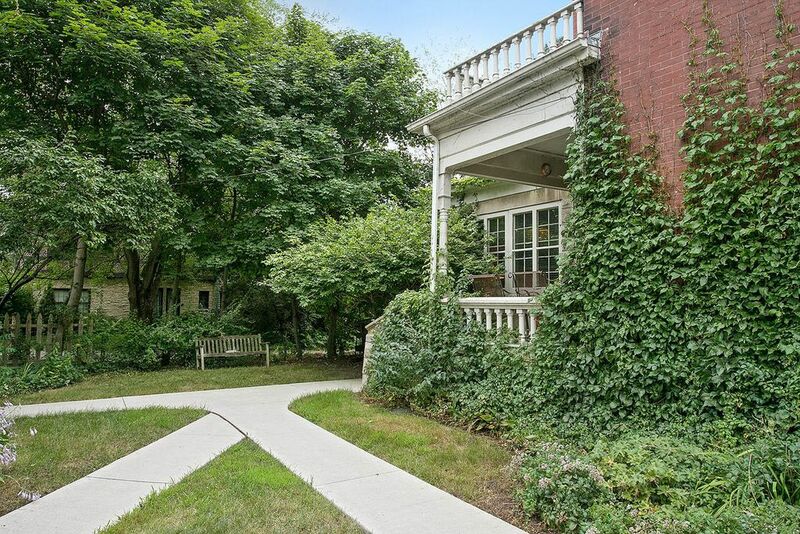 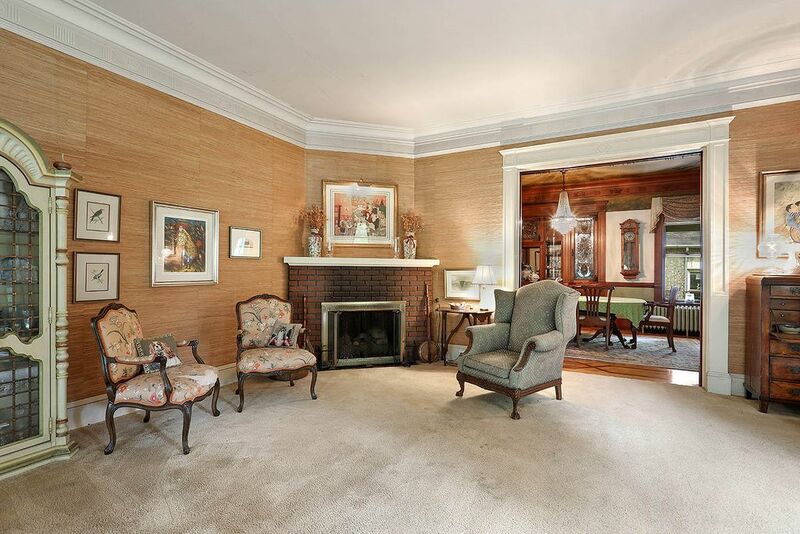 The Spindler House is on the market for $429,900 with Action Realty.